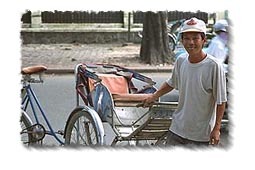 A xichlo is a 3-wheeled, pedal-powered rickshaw. Available for hire by the trip, hour or day, xichlos are a convenient and nostalgic means of transportation. In many smaller cities, they are the only means of public transportation!